Featuring a rooftop swimming pool will take you to paradise in the middle of Saigon. 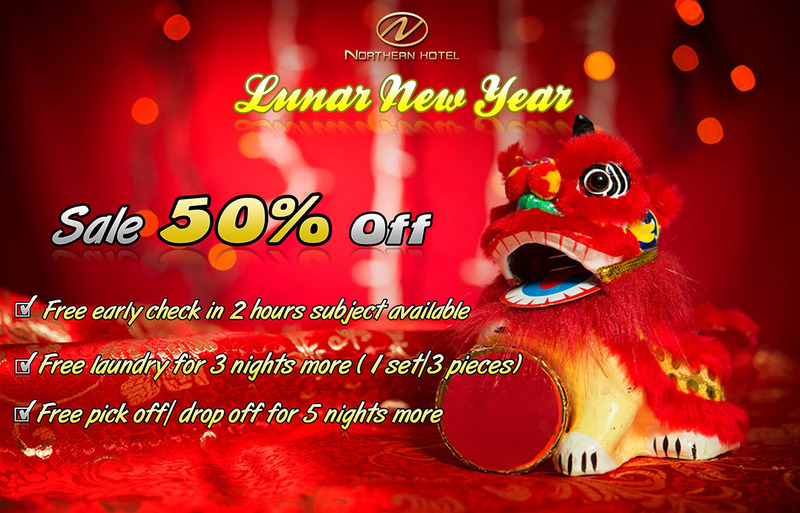 Northern Saigon hotel offering 99 well furnished rooms and suites with comfy beds is considered as one of most suitable venue for business and leisure travelers. By providing high quality service performed by a dedicated, friendly and professional team the hotel prides itself as a right choice for a comfortable stay. Equipped with well stocked amenities and modern facilities, all guests are assured of full convenience for unforgettable experiences. Conveniently located in the heart Saigon, Northern Saigon Hotel is just a few steps away from the historical Opera hours, walkin street, commercial buildings, entertainment outlets and other sightseeing destinations. It is beautifully designed in modern architecture in a cozy setting and fully equipped with state-of-the-art facilities that provide utmost convenience and ultimate comfort. Whether you are on business or leisure Northern Saigon Hotel is absolutely a venue of choice for a memorable stay. Positioned on the mezzanine floor of the hotel, Melody combines the nature and thrilling culinary adventure of 2 great cultures from Western and Asian to bring guests a truly unique dinning experience. The restaurant does not only serves daily buffet breakfast more than 30 dishes but also plentiful genres of delectable cuisines in a romantic and cozy ambience that will entice guests to discover dishes while enjoying lasting memories with friends and family. Open 7h00-22h00 daily. At Northern Saigon Hotel, we invested a great deal in facilities to provide utmost convenience and ultimate comfort. We also focus more on human resources training and development in order to exceed expectation.